Hello again! 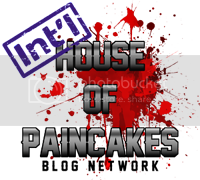 Oh yes I'm back again and this time it hasn't been several months between postings! Result! Today I'm here to share with you a model that I've had for quite a while but lacked the inspiration to paint... Presenting for your viewing pleasure... Be'lakor!! He has been a true labour of love and I've really shocked myself with the end result because he is an amazing model to paint. For a very large amount of time as I painted him it felt like I was making very little progress right up until the last few stages where he really seemed to come together. 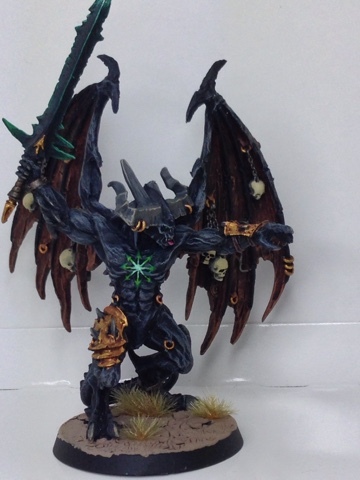 Be'lakor is almost universally painted black; he's the master of shadows so it makes sense. Most pictures I've seen of him have the star on his chest painted with a heat glow effect with the Reds and the yellows etc. For me that wasn't working as it didn't fit in with my army. I get that he's not a part of my army but I still like when everything fits and is cohesive so I started to think about the green that I use as a spot colour with my Black Legion. Once I hit on that idea it was just a matter of where to put the green. The eyes were an obvious choice but it needed more so the chest star was next. Once I'd painted them though it didn't seem like enough but I didn't want to overpower the model with green so I stole the technique I used on Isabella Von Carstein's sword and used it here for the Blade of Torment. It adds more green but is more subtle and doesn't overpower the model. 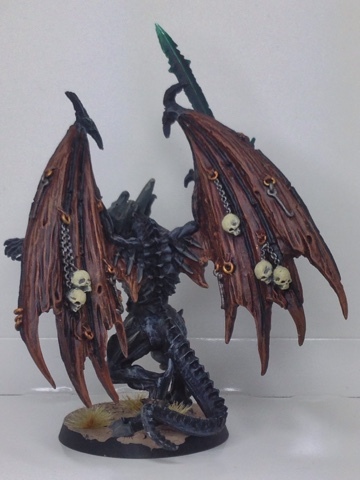 The gold is deliberately bright to offset the darkness of the rest of the model. I was worried I'd gone too bright but personally I think it worked well. 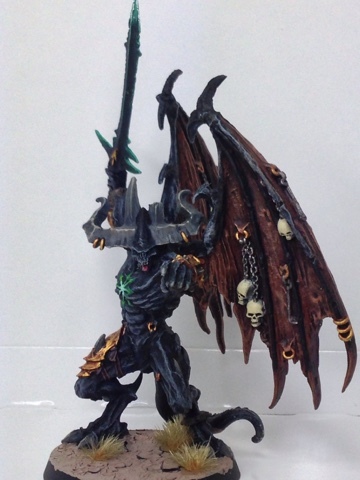 His horns and claws were done in the same way I did my Bloodthirster so that they're dark and they blend but they're different enough from his skin but not so different that they draw attention. 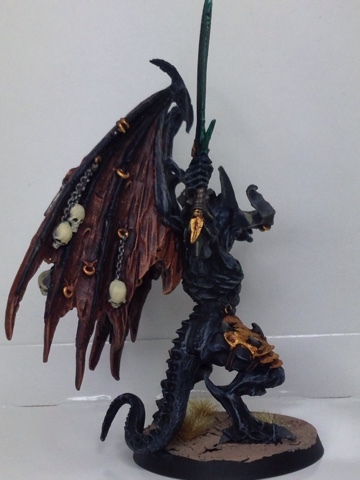 So there we have it; the first Daemon Prince for your viewing pleasure! Let me know what you think. Well done. I really like the skin and the star on his chest is great; good color choice there. Stunning stunning job. I also really like the star on his chest. I'd have liked to see that same treatment done on his eyes, as I think that would really pull you in!